However, the whole tower is commonly referred to as Big Ben. It celebrated its 150th anniversary in May 2009 and it has a long and fascinating history. 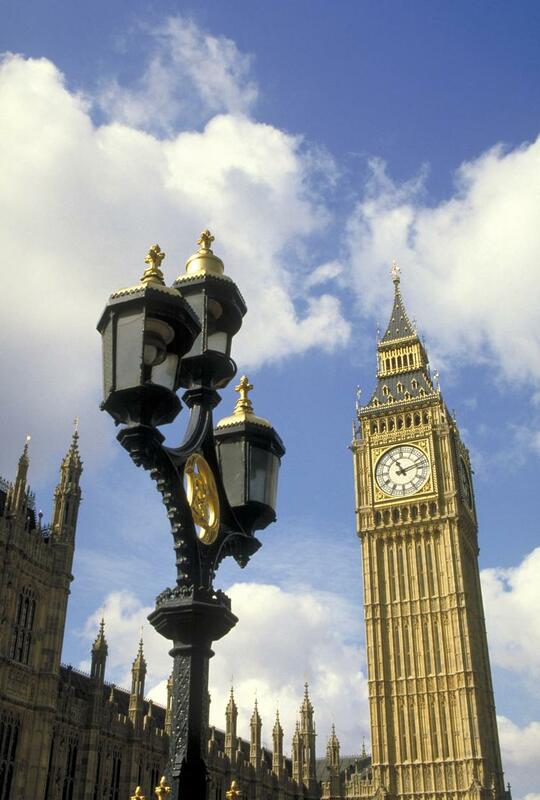 The story of Big Ben begins in 1834 with the devastating fire which destroyed the Old Palace of Westminster. This disastrous event eventually led to the building of one of London's most prominent attractions and a world famous landmark of the city. 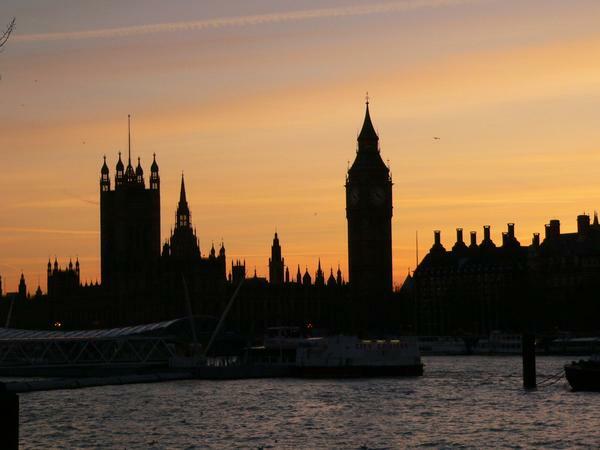 A competition was announced to find the best design for a new Palace of Westminster, also known as the Houses of Parliament. The successful architect was Charles Barry and as part of his design, he included a landmark clock tower that was to be the largest in the world at that time. Charles Barry was the chief architect of the Perpendicular Gothic style Palace, but he enlisted the help of Augustus Pugin to design the clock tower. It is said that this, Pugin's final project, eventually drove him to madness and death. The building of a clock tower should have been a straightforward task for an architect well versed in building churches, assisted by Edward John Dent, one of the best clockmakers in the world. The project was overseen by Edmund Beckett Denison, a famous horologist himself, and Sir George Airy, Astronomer Royal. 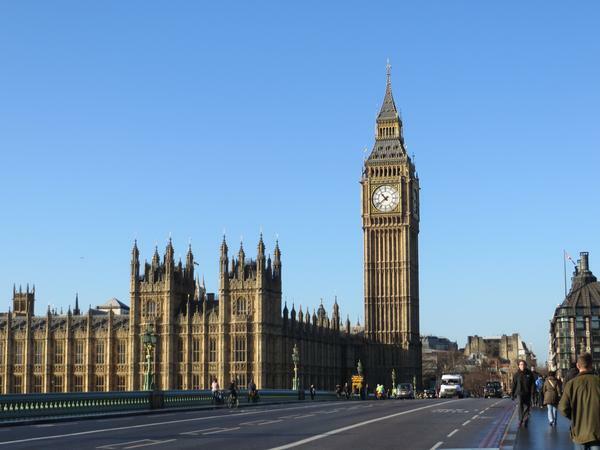 However, the building of the clock tower to house Big Ben was fraught with disasters and took over 28 years to complete. The hands being too heavy for the clock to operate them and the replacements being even heavier! There were also countless hostilities, disputes and lawsuits between the parties involved. In short, the building of Big Ben must have provided London newspapers with headlines and scandal for decades! The building of the clock tower began in 1843 with the laying of the foundation stone and it took 13 years to complete. It is 316 feet high with masonry to the height of the belfry topped with an iron framework. The tower leans slightly to the north west by 8.6 inches (220mm). Within the tower there are three shafts. The clock shaft houses the weights which hang below the clock room. The second shaft was designed as a ventilation chimney and the third shaft contains the staircase with 340 steps. The lower part of the tower has several rooms including, for some reason, a prison cell. Edward John Dent was appointed to build the clock mechanism in 1852. Unfortunately he died in 1853 and his nephew was hastily drafted in to complete the work. He had to first comply with his uncle's condition that he change his surname from Rippon to Dent. His name is inscribed on the frame of the clock. The clock mechanism was completed in 1854 but could not be installed as the tower was incomplete. At that time it was by far the world's largest clock and is still the largest mechanical clock in existence. The frame measures 16 feet long and the whole clock movement weighs five tons. The largest of the driving weights, the chiming weight, weighs 1.25 tons. 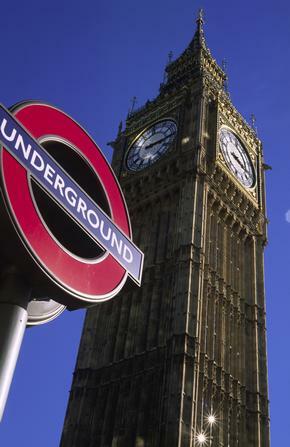 The clock originally had to be hand wound and took two men five hours for each of the three trains. Since 1912 the chiming and striking trains have been wound by a motor, but the going train is still wound by hand. Constructing a clock that would be accurate 200 feet above the ground in freezing temperatures or strong winds was quite a challenge. One of the stipulations was that the clock had to strike the hours accurately to within one second and Denison spent the following years testing Dent's mechanism. He eventually invented a new type of gravity escapement which led to the clock's exceptional accuracy. To make minute adjustments to the clock's accuracy a stack of old pennies sits on top of the pendulum and occasionally one is added or removed. 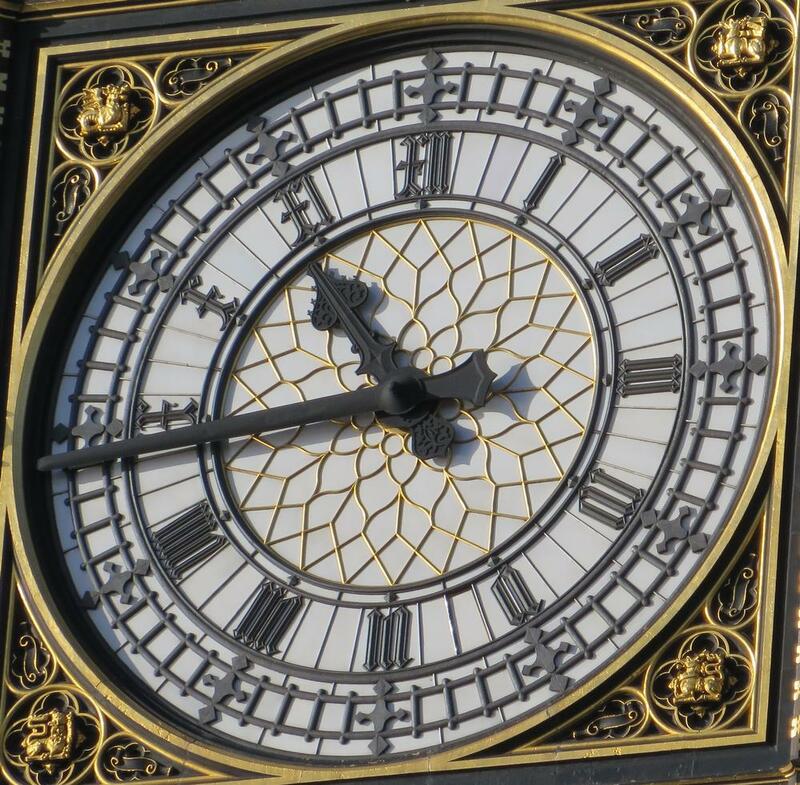 Augustus Pugin undertook the detailed design of the clock face and the decoration of the dials. He also persuaded Charles Barry, the principal architect, that 30 feet in diameter would be too large for the clock to work at all and it was scaled down to 23 feet (7 metres). The white face is made up of 312 individual pieces of white glass put together rather like a jigsaw so that the clock fingers can be maintained from inside the tower by removing various parts of the face. Those "tiny" Roman numerals are actually 2 feet high (0.6 metres) and the surround is lavishly picked out in gilding. The number four on the clock face is displayed as "IV" although commonly it was denoted on clocks as "IIII". Beneath the dials is the Latin inscription DOMINE SALVAM FAC REGINAM NOSTRAM VICTORIAM PRIMAM which means "O Lord save our Queen Victoria I". From time to time the four clock faces have to be cleaned and the job is done by abseilers who descend from the balcony above. John Warner and sons were chosen to cast the bells to Denison's specification. The largest of the five bells was completed in 1856 but ended up weighing a massive 16 tons, rather than the required 14 tons, due to a miscalculation. A quick solution was arrived at and the ball hammer was also increased in size to compensate, increasing from 4 to 6 cwt. 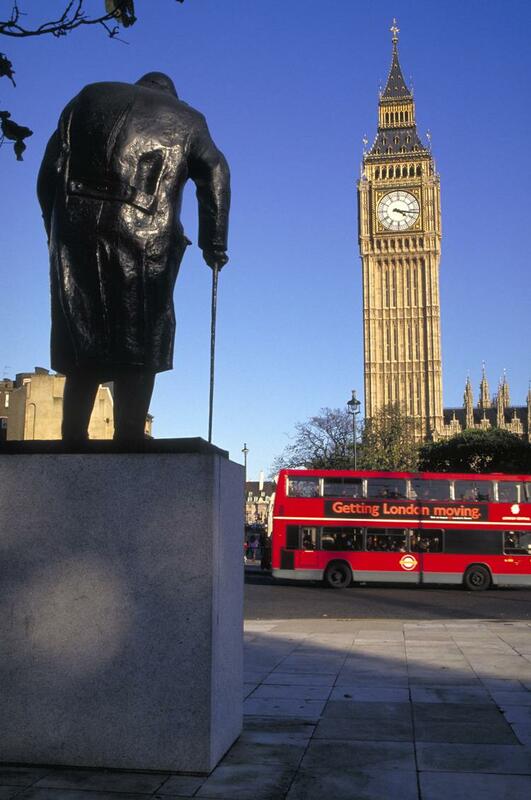 The bell was nicknamed Big Ben, possibly after Sir Benjamin Hall, the project commissioner who was apparently quite a large gentleman himself. The four accompanying quarter chiming bells weigh 1 ton, 1.25 tons, 1.6 tons and 3.5 tons. As the tower was still unfinished, Big Ben was set up in the New Palace Yard. It was regularly struck for the benefit of the public. Unfortunately after just a year it cracked beyond repair. Denison blamed faulty casting; Warner's claimed it was the fault of the extra heavy hammer. The bell was broken up and recast by George Mears of Whitechapel Bell Foundry, currently the oldest manufacturing company in the UK. He produced a new bell in 1858, weighing a more manageable 13.5 tons which is still used today. The bells were installed in the tower in 1858 and the clock mechanism was then installed beneath them. However it was no longer possible to hoist the bells up the outside of the tower and Big Ben had to be hoisted up the central shaft. This meant that the bell had to be recast to unusual dimensions so that it would fit into the wooden cage. 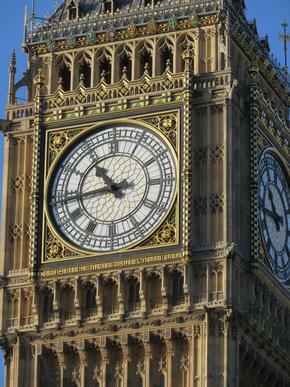 It took 36 hours to finally hoist Big Ben up on its side and position it. The next problem was that the clock hands, which were 14 feet long, were simply too heavy for the clock to work them. Barry had to have the hands remade, but when they came back they were even heavier than the original ones and still would not function. Dent finally cast minute hands to Denison's new design and they are still in place today, while the hour hands are Charles Barry's second design. The minute hands are 14 feet (4.25m) long and weigh 2.5 cwt while the hour hands are nine feet (2.7m) long and weigh 0.8 cwt. Finally the clock was inaugurated in July 1859. 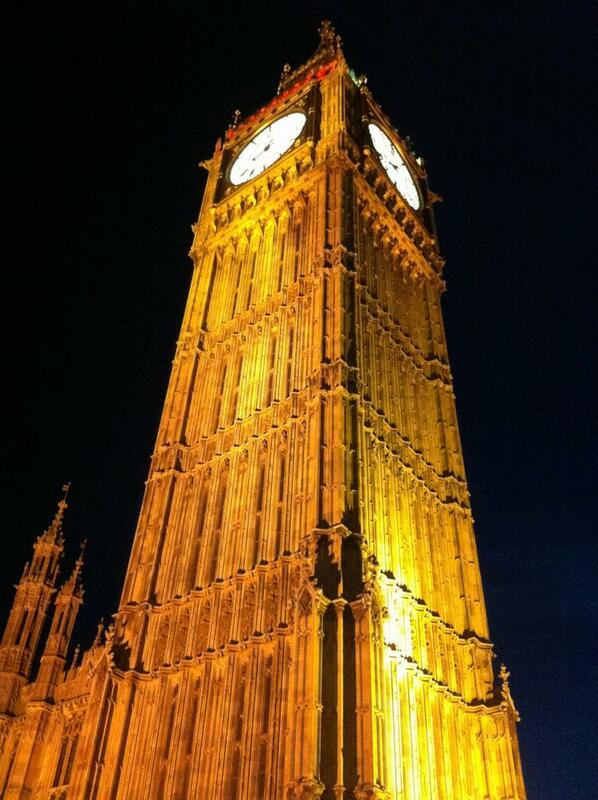 The celebrations were short lived when the bell known as Big Ben cracked again in September, and hardly any wonder. It was being struck with the same 6 cwt hammer that had cracked the first bell! An acrimonious dispute over blame and legal proceedings between Mears, the second bell founder and Denison, the project referee, meant that Big Ben was unused for the next two years. Finally the cracked bell was given a quarter turn to reposition the fault, a lighter hammer was installed and in 1862 "normal" service was resumed. 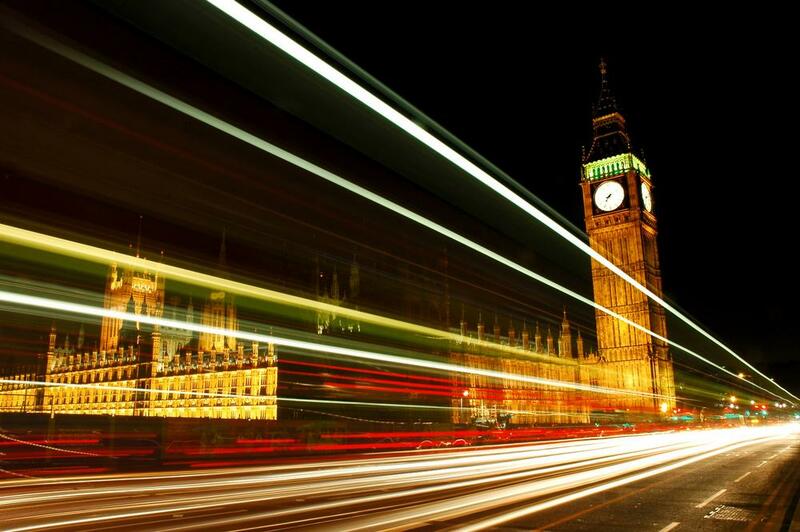 The chiming of Big Ben was first broadcast to the nation at midnight on New Year's Eve 1923 to welcome in the New Year, and it has done so ever since. A microphone allowed the live chiming of the bells to serve as a time signal over the radio. It was particularly significant during World War II as it was often followed by wartime news and somber announcements from the Prime Minister, but it became a source of comfort to many. Big Ben's chime is still broadcast live today on BBC Radio 4. 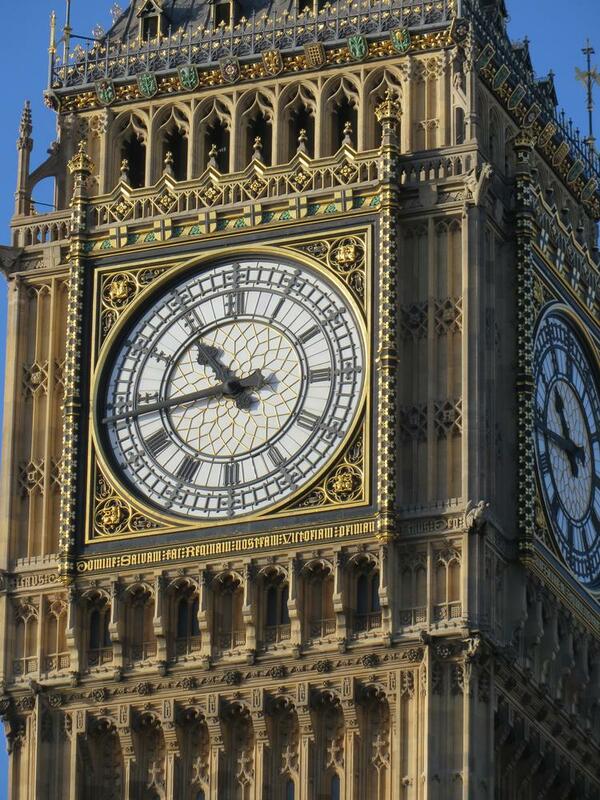 Big Ben continued to chime almost without mishap until 1976 when the shaft broke and almost destroyed the chiming mechanism completely. A new chiming train had to be constructed and repairs took almost a year. 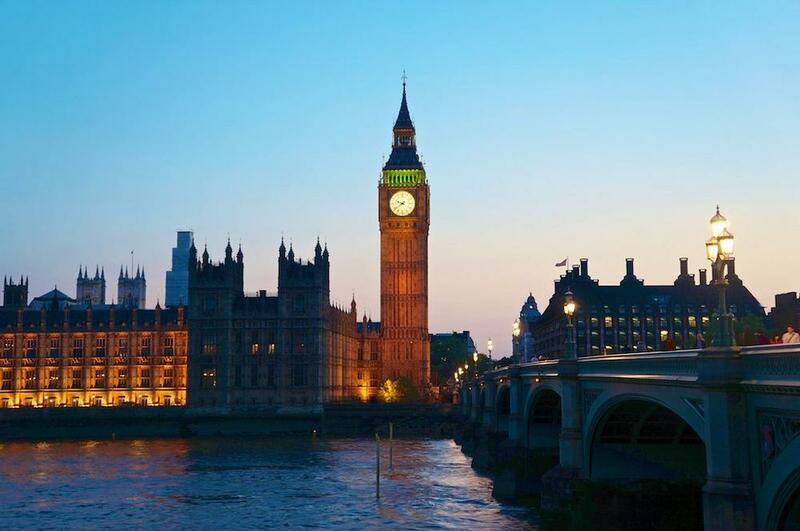 In June 2012 it was announced that the clock tower was to be renamed the Elizabeth Tower - a fitting tribute to Queen Elizabeth II in her diamond jubilee year. On New Year’s Eve 1962, the clock slowed due to snow and ice on the hands. It chimed in the New Year 10 minutes late! On 5th August 1976 as the clock chimed 3.45am the shaft broke and destroyed the chiming mechanism. Some of the machinery flew upwards with such force it penetrated to the room above. Reconstruction took almost one year. In June 2006 the quarter bells were stopped for four weeks for repairs. On Radio 4, birdsong replaced the usual chimes!